Gone are the days of wet pails and bleach that your grandmother used. Thank goodness! Today there is a much easier and less time consuming way to wash those stinky diapers. This article will explain everything you need to know to wash your diapers at home. How do I store dirty diapers? Most people that I have met use a plain old trash can fitted with a pail liner to store their diapers. This is exactly what I use. I use an Ikea Knodd trash can fitted with a pail liner that I have sitting next to my changing table. Some other people like to use a large hanging wet bag . The choice is really up to you. Both of the options above are known as dry storage, meaning there is no need to fill either with water. A lot of well meaning grandmothers will insist you need to use a pail filled with water and bleach to store your dirty diapers. This is unnecessary and just plain messy. What do I do about solids? This seems to be the question that makes people most hesitant to try cloth diapers at first. I am here to tell you that the answer is neither complex nor gross. ok, not that gross. In fact did you know that it is against federal regulations to place any human solids in a landfill including solids in disposable diapers? All disposable diaper packages clearly state that you should dispose of solids in the toilet before throwing away. You first must identify which type of solid you are dealing with, the washable (yay!) or the non-washable type. These two types are based on what type of food your baby is fed. 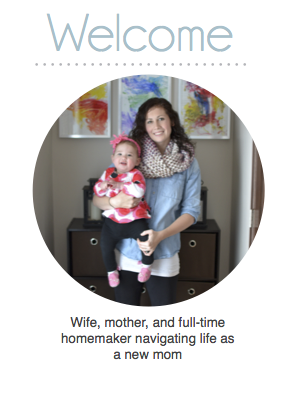 Is your child 100% breastfed or do you offer them some formula or solid food? For the 100% breastfed baby you do not need to do anything. Lucky you! You can simply take the diaper off and throw it straight in the wash. The solids are water-soluble and will wash away on their own. If your child is fed formula or eating solid food you have a bit more work a head of you. You need to get rid of the solid material and the easiest solution is to just dump it in the toilet and flush. Unfortunately, not all solids are really "solid", if you know what I mean. Some may need a little encouraging to get in the toilet. There are a couple different ways that you can remove those stubborn solids from your diapers. 1. Liners - These are disposable liners you lay down in the diaper before your child goes. You can simply flush or dispose of them and you are all done. How easy is that? The downside is they can be expensive. 2. Diaper sprayer - My method of choice. The sprayer attaches to your toilet and you can simply wash away the solids. Then I wring out my diaper, put it in the diaper pail and let it sit there until laundry day. It is very easy, but takes some practice to learn how not to cover your bathroom in solid material. 3. Scraper - Some people keep an inexpensive spatula or wooden spoon next to their toilet that they use to scrape to solid material into the toilet. 4. Dip and Swish - The thought behind this method is you can dip your diaper in the toilet and swish the solid material off. I have tried this when staying at hotels and it has not worked for me very well. The solids do not come off and I end up with a mess. If you want to give this method a try I suggest you at least invest in a a pair of rubber gloves. How Often Do I Need to Wash? This answer really depends on how many diapers you have in your stash. Most people wash every 1-3 days. If you go any longer than that your diapers will start to mold. I tend to wash my diapers every other day. What Kind of Detergent Should I Use? This is really a matter of preference and depends upon your machine type and your water type. The rule of thumb is to look for a low suds detergent that is free of brighteners, whiteners, softener and bleach. I have soft water and found that Country Save works best for us. 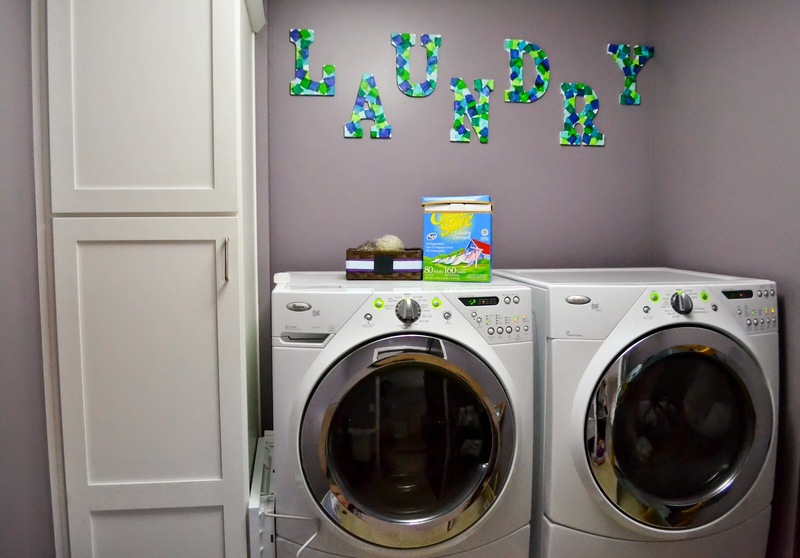 Since you only use a small amount with each load the detergent lasts a really long time. It took me 9 months to go through one box. 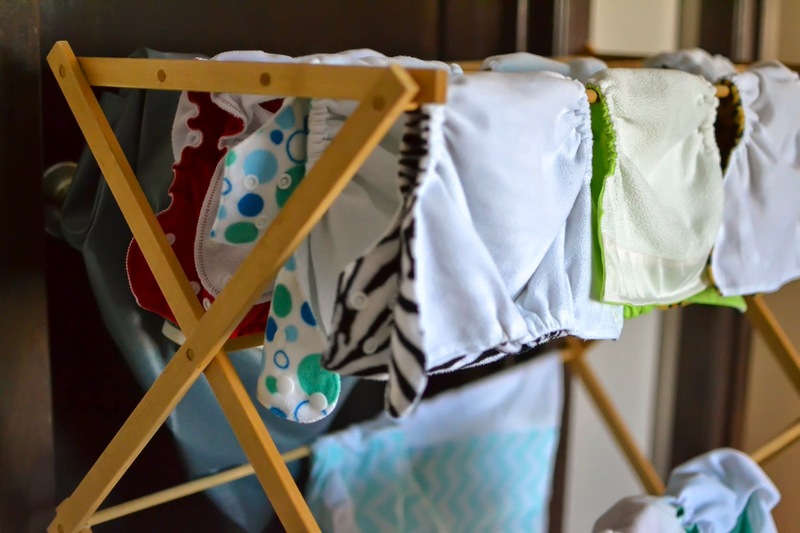 However, there are tons of cloth diaper safe detergents on the market today, or you can make your own, The Eco-Friendly Family has some great recipes. Nevertheless, the key with any detergent is to use the smallest effective amount. You do not have to buy an expensive detergent if you don't want to. If your family does not have sensitive skin and you are ok with fragrances and dyes I have heard that Tide Original Powder (must be powder) works well with cloth diapers. However, you need to use a very small amount, only a tablespoon or two. You may be tempted to buy a big name free and clear detergent, but don't - these tend to cause bad repelling issues. You can read more about this at Jillian's Drawers. If you want to know what detergents are safe check out the graphs at Pinstripes and Polkadots or The Diaper Jungle. If one detergent doesn't work for you, don't get discouraged, try another. This is a learning process and you need to learn what works best with your water. How Do I Wash My Diapers? 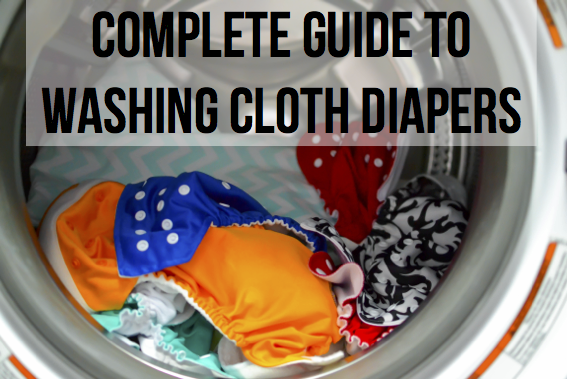 Washing diapers is really not that difficult once your get a routine down, but be prepared for your washer to run for several hours for every load of diapers. An old school top loader works best for washing diapers as they provide the most water. If you have a HE front loader, like me, getting the diapers clean tends to be a little trickier, but there are a few tricks you can try. Regardless of your machine type your first step is to make sure that your diapers are free of non-breastfed solids, your diapers are unstuffed (if using pockets) and if you use velcro that they are firmly attached to the laundry tabs. I do all of these things after every diaper change before I throw it into the pail, but sometimes if we have had a babysitter I do a quick glance just to make sure. Then, I empty the contents of my diaper pail into the washer and throw in the diaper pail liner as well. Now, here is where the washing instructions differ depending on if you have a top loader or a front loader. Adding some vinegar occasionally to your last rinse cycle in the softener spot or in a downy ball will help with cleanliness and prevent build-up. Washing diapers in a front load washer can prove difficult, but it is not by any means impossible. The problem with front loaders is the small amount of water they use. That's great for saving the planet, but not so great for washing diapers. In order to clean your diapers effectively you will need to increase the amount of water your machine uses. 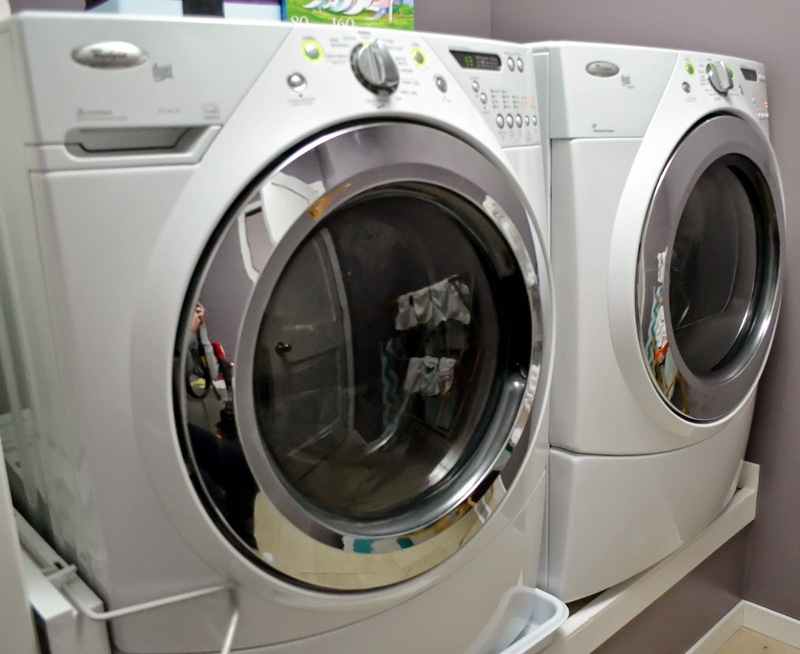 Your washer more than likely determines the amount of water to use by the weight of the load in the drum. Therefore, in order to increase the water your washer uses we need to increase the weight. This is actually a fairly easy thing to do and will just become part of your wash cycle. According to the owner's manual on my Whirlpool the Delicate Cycle uses the most water, so I use this for my initial rinse. I turn my knob to delicate and select no spin. This ensures that my diapers become fully saturated and heavy. Remember, the heavier the better. Next, I add a completely saturated old bath towel to my washer before I run the detergent cycle. This adds more weight to the drum and tells the washer to use more water. Ok, here is my method for front load washers. Adding some vinegar occasionally to your last rinse cycle in the fabric softener spot will help with cleanliness and build-up. Using a front loader is really all about trial and error. If you want to keep your diapers in tip-top shape, it's best not to put them in the dryer if they contain any PUL. This applies to pail liners, wet bags, shells, and covers. Overtime the heat can stretch the elastic and cause the PUL to crack creating leaky and unusable diapers. However, all inserts and non-waterproof diapers can go in the dryer. I like to hang my shells and wet bags on a bamboo drying rack in my laundry room, and throw the inserts, prefolds, and fitteds into the dryer. Wool dryer balls work great at cutting down dry time. I made my own, but you can buy some too. On the drying rack my shells and covers dry within a few hours but my all-in-ones take about a day. TIP: If your diapers are stained put them on a line or move your rack outside. The sun will bleach them without any chemicals.